Vern Burkhardt (VB): What is the essence of the Innovation Genome which is the basis of your book, Leading Innovation? Dr. Jeff DeGraff: The Innovation Genome is simply a map – a meta-model upon which a wide variation of innovation approaches can be compared and evaluated. The Innovation Genome has two basic structural components. These three levels are inter-related. Think of them like Russian nesting dolls. Each level is subsumed by the greater level. To assume that any level can create value without the one above or below is perilous. Opportunities and challenges are ignored and the capabilities and culture required to capture or avoid are miscalculated. Ironically, our research suggests that while there are clear connections between outcomes and the organizational culture and capability required to capture them, leaders typically favor innovation practices that closely resemble their own preferences and therefore actually may destroy growth. In other words, we prefer the tools, methods, and people who are more like us over those that will help us innovate. Second, there are four fundamental creative forces that produce innovation by pulling us, our communities, the imperceptible zeitgeist and all the constituents in our situations in different directions: Collaborate, Create, Compete and Control. These forces drive or thwart innovation in dyadic oppositions: Collaborate versus Compete, and Create versus Control. The Collaborate approach moves towards connection, harmony and togetherness. This approach represents human relationships, the identification with family and clan, and the greater good of Man. The Collaborate approach is typically associated with the slowest forms of innovation because it focuses on building the underlying organizational culture and competencies required to sustain it. The Compete approach, the opposite of Collaborate, represents a Darwinist approach that focuses on competition where the strong prevail at the expense of the weak. This approach represents the drive toward goals and the end game of power, money, fame and other tangible forms of success. Contained within is a rational view of the world as divided between winners and losers. This form of innovation is the fastest of all four, but is not typically sustainable because its "sweat shop" approach gives little concern to the development of others. The Create approach pursues radical innovation through wild experimentation and extreme dislocation of conventions. Often this form of innovation is event-driven by an unconventional breakthrough, such as a miracle drug, or a cataclysmic event, such as an act of terrorism or a natural catastrophe. The incident is so extreme that a traditional response would be untenable. Evolutionary biology refers to this total displacement of convention as "punctuated equilibrium" meaning the revolutionary moment when the trajectory of innovation is irrevocably altered. This Create approach burns bridges behind it. While this approach provides the greatest magnitude of innovation, it also brings the greatest risk. While Create represents the radical approach for innovation, Control brings up the rear focusing on continuity and the elimination of errors and outliers. The Control approach represents incremental innovation – taking something that exists and modifying it to make it better. In this view there is a right and wrong way governed by the irrefutable laws of science and civility. Interpretations are of little significance in the face of rules and standards. Data wins the day. This approach is closely associated with technology, systems, and engineering employed to streamline complexity and increase efficiency and quality. This methodical march of progress often brings with it unwanted bureaucracy. These four forces, the 4Cs, pull us in divergent directions not simply because we have different personality types, but rather because we seek different destinations. Here is a chart that describes the forces that drive or thwart innovation in dyadic oppositions. VB: The four-quadrant model can be used to describe leadership behaviors and the characteristics of organizations. Can it also be used to describe the nature of cultures of various countries or societies, and therefore help us understand the predominant type of innovation that occurs in various nations? Jeff DeGraff: Yes it can, and some of my colleagues like Gretchen Spreitzer and Aneil Mishra have studied this over the years. Simply stated all countries possess all four quadrants but because of their cultural context these may appear to be slightly different. For example, Chinese culture may at first seem to be Control based because of the hierarchy of its political structure. However, closer examination reveals that China is a decidedly Collaborate culture because of its tendency towards clan relationships. Consider that there are hundreds of words in Mandarin to describe specific types of family connections. As anthropologists suggest, the challenge of the distinguishing dominant cultures is that people may not identify themselves by their nation state but rather by their social condition, religious sect, or political affiliation. For example, while there may be a dominant American culture there isn't a primary European culture. Europeans are more likely to identify with being German, French, English, or the like. What is important is to understand that this cultural identity will largely inform what innovation methods will be readily adopted. For example, a wild brainstorming technique may not work well in a large German chemical company. But a more decorous and systematic innovation technique, such as TRIZ, may be widely accepted. Of course, these are generalities. As with any culture, organizations also have distinct subcultures. It's best to consider what is appropriate for the specific situation and group. VB: Of the four quadrants, is the create quadrant the most difficult to implement and maintain as a predominant approach to innovation in an organization? Jeff DeGraff: Yes, simply because it is by definition unmanageable. When we look at the sources of radical innovation they have a few peculiarities. First, they happen in highly diverse communities sometimes called "creativity clusters." This means that these groups identify themselves as contrarian – opposed to the norm. They are intentionally misaligned. These forms of positive tensions play out as rebellion against the "system" or isolation from outside forces. This can be seen in everything from university towns where many of the radical ideas happen in small start-ups right across the street from Old Ivy, or in tech centers that become orphans because their ideas never make their way back into the operation where they can be fully realized. Second, Create quadrant leaders are often drawn to the boundary where institutional power is limited, such as locating their projects far away from headquarters, because their primary preference is for freedom. These leaders are sometimes referred to as "outsiders on the inside" in the leadership literature. Third, its constituents define the values of the Create quadrant by how it is differentiated from that of the dominant culture. This means that the moment the organization at large accepts the ideas of the Create culture it morphs into something new and possibly antagonistic. So, the key is not to align the Create quadrant but rather to provide lines of sight, cross boundary bridges, and emissaries to facilitate and translate the radical into the operational. VB: "In fact, the principal problem in most organizations isn't their lack of new technology or expertise but rather their inability to get through their own systems, particularly those designed to aid innovation." What is it about the nature of organizations that results in this phenomenon? Jeff DeGraff: The Innovation Genome has two basic dynamics that confound the ability of an organization to successfully move innovations through its "system." The first is the transit from the "forward position" in the Create quadrant where radical variation is required to create breakthrough innovations to the "aft position" in Control, which is the quadrant where standardization – the elimination of variation – is necessary to scale these innovations. It's not that a firm doesn't have the capabilities in both quadrants, but rather it typically lacks the capability to successfully manage the handoffs. Consider the case of General Motors which for decades was among the top companies in the world for securing high quality patents. It wasn't that GM didn't have better technologies for hybrids, hydrogen, or flex fuels than its Asian competitors. Instead, it was that they couldn't get them to efficiently and effectively move from its world-class tech centers into full production because they couldn't make it over the stringent hurdle rates imposed by the heads of business units. Leaders were often compensated for protecting one form of value at the expense of its opposite. The second is an organizational lifecycle dynamic. When companies startup they can't compete on scope or scale like incumbents so they rely on more radical forms of innovation and create new niches. This is the essence of famed Twentieth Century economist Joseph Schumpeter's concept of "creative destruction." Companies with a significant size advantage work to optimize their operations in order to gain higher returns at lower cost until an upstart firm disrupts their equilibrium. Consider the pharmaceutical industry that has largely given up on developing blockbuster drugs because they have had very limited success overcoming their own stage-gate systems, financial portfolios, and legal departments. Instead, they now largely rely on the biotech sector to assume the risk, and the rewards, of radical divergence. Venture capitalists, heavily invested in this sector, play to this dynamic by investing in a wide array of companies with uniquely differentiated therapies for the same disease state. They are essentially accelerating the failure cycle so they can quickly discern what works and what doesn't while limiting the risk that comes from big investments in ineffective innovations. VB: "The speed (how fast) and magnitude (how much) of the creative practices largely determine which quadrants produce successful results in specific situations and which do not." Would you explain? Jeff DeGraff: Innovation strategy and associated practices are context specific. In some ways innovation is no different than any other value proposition in that it anticipates and responds to market conditions. But innovation is quite unique in two ways. First, it's a time bound form of value. Any innovation becomes a commodity over a time horizon relative to emerging technology, competition, and consumer behavior. Innovation goes sour like milk. Second, innovation can produce competitive advantage at multiple levels of magnitude. Consider the automotive industry where in 2010 Denso Corporation again led the field in patents granted. These were mostly incremental. Conversely, Robert Bosch GmbH had far fewer patents. However, the science strength scores were much higher suggesting that the innovations were closer to the breakthrough end of the magnitude continuum. This concept of speed and magnitude can be easily seen by looking at the example of Apple Inc. over the past fifteen years. When Apple was confronted with the possibility of insolvency in late 1997, Steve Jobs returned to the helm and implemented a short-term strategy to restore the financial viability of the firm by 1998. This included everything from fast tracking the most promising projects to creative financing maneuvers because speed was imperative for survival. Products like the iMac were largely outsourced and their innovation was more in its fashionable candy colors and single chassis design. The magnitude of the innovation wasn't nearly as significant as it would be in later products. Forward the clock to today and Apple is clearly in the midst of a long-term growth plan, courtesy of very strong financial viability, that frequently disrupts the market with more radical fare such as iTunes, an integrated business model and platform, and iPad, which is quickly moving the market away from laptops. As with everything, leadership is about decisions and what we are willing to give up to get what we need. VB: Would you tell us about your research, since the mid-1990s, related to the Competing Values Framework? Jeff DeGraff: Competing Value, originally developed by Robert Quinn and John Rohrbaugh, was based on analytical research conducted on the major indicators of effective organizations. They discovered two major positive tensions underlying conceptions of effectiveness: Focus – internal vs. external; Preference – stability vs. flexibility. Together these two tensions form four quadrants with competing relationships to Human Relations, Open Systems, Rational Goals, and Internal Processes. Building on this foundation, Kim Cameron conducted related research on organizational culture and competency development, including several large statistical studies, and as a result developed on the world's most extensive databases. This work effectively established a clear pathway between leadership and organizational development. In the mid-1990's Anjan Thakor and I added financial, strategic and innovation elements to the Competing Values Framework. Through a series of studies that used both quantitative data from yearly financials and qualitative data from assessment instruments, we developed an extensive basket of metrics that predicted specific forms of value propositions and strategic outcomes like revenue or quality. Over the next seventeen years these metrics have been reduced from the original sixty-four to just twelve that predict 87.5% of the market to book variance across all Standard Industrial Classification (SIC) Codes. Changes in the Market to Book Ratio is a key indicator of future share price. These measures are used today by several of the world's most visible corporations. A quick search of the phrase Competing Values Framework on Google Scholar produces over 700,000 entries with over one hundred such original studies of change and innovation since 1995. The value of this research is simple. It connects the intended outcomes of value creation, most notably innovation that drives to growth, and relates it to the organizational culture, competency, and practices that produce it. Finally, it connects the role of leaders to the development of specific types of organizational capability that maximize specific types of value creation. This allows leaders to discern what specific types of innovation they seek and to understand the inherent tradeoffs in achieving it. For example, Control based practices, such as extensive stage-gate systems, are designed to eliminate variations, mitigate risk, and pace time to market. While these are all worthwhile activities for an "aft position" innovation that is being taken to scale, these same practices will inadvertently eliminate the variation required to create "forward position" innovations that are by nature more radical and divergent. So the next time you read a cover story of a popular business magazine announcing "the most innovative companies" ask yourself, "What specifically makes this company more innovative than all others?" You will quickly see that these magazines, typically based on interviews with leaders, are not talking about the same thing. The problem is simple. Many of the practices associated with specific types of value propositions are oppositional. For example, the innovation in Wal-Mart can be found in purchasing and logistics which result in efficiency while its direct competitor Target relies more on marketing and merchandising which produces organic growth. One size never fits all. VB: "The DeGraff Hypothesis states, 'The amount of innovation a company produces is inversely related to the number of slick PowerPoint slides or elaborate process diagrams it makes about innovation.'" Would you talk about this? Jeff DeGraff: Innovation happens in the future for which we presently have no data. What's going to happen to political stability in North Africa next year? What are the implications of the nuclear meltdown in Japan on investments to alternative energy in the next decade? What are the effects of the American debt load on the world economy in this century? Nobody knows. The real form of resistance to innovation is excessive data gathering – the report about the report or the meeting about the meeting. Innovation requires experimentation. It's not that we don't collect data, perform research or make strategic plans. It's that these all change as new opportunities emerge. As my colleague Bob Quinn says, "Transformation is about building the bridge as you walk over it." VB: Would you tell us about your next book, and its projected publication date? 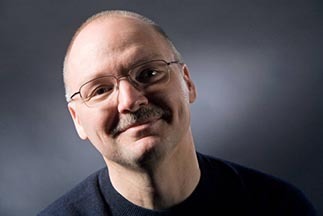 Jeff DeGraff: My new book is entitled Innovation You: The Four Steps to Becoming New and Improved. It will be published by Random House in August of this year – 2011. Innovation You is based on the intriguing premise that if we were a business we would be able to step back with perspective and work on making our own lives new and improved. We are taught from an early age to employ our creativity in the service of the arts and crafts, but not for developing our self. Innovation You clearly explains how innovation really works and how to use these same principles to help us achieve our goals. This book translates the fundamental strategies and practices for leading innovation used by top companies around the world and explains how to successfully apply them to our own challenges in four simple steps that repeat in a cycle: set high quality targets, enlist deep and diverse domain expertise, take multiple shots on goal, and learn from experience and experiments. These "creativizing" steps are used to locate our opportunities for growth and add creativity to the seemingly ordinary activities that really make innovation happen. VB: You also have a nationally broadcast PBS special, titled "Innovation You", which will debut in August. How did this opportunity come about? Jeff DeGraff: An executive at PBS had heard about my innovation consulting work at some top companies and came out to see me at the Innovatrium. She asked me what I would tell PBS viewers who were looking for ways to reinvent their lives after the Great Recession. I told her about my new book and one thing quickly led to another. The program was taped at the Henry Ford Museum in front of live audience. Segments of the program are shot in Edison's Menlo Lab where the light bulb was invented, the Wright Brother's Bicycle Shop where the airplane was created, and George Washington Carver's Soy Bean Lab where the eco movement began in earnest. I am delighted that Thomson-Reuters, world's leading source of intelligent information, chose to sponsor the program. It airs nationally on August 6th. VB: How can we learn more about your work on innovation? They may also want to take the free Competing Values Innovation Assessment. To learn more about my innovation labs in Ann Arbor and Atlanta, they should visit our Innovatrium Institute of Innovation website. VB: Thank you for taking time out of your busy schedule. We will look forward to seeing you on PBS on August 6th, and to publication of your next book, Innovation You. All should mark August 6th on our calendars so we remember to watch the "Innovation You" special program on PBS. Jeff DeGraff is co-author of the books Creativity at Work: Developing the Right Practices to Make Innovation Happen (2002), Leading Innovation: How to Jumpstart Your Company's Growth Engine (2006) and Competing Values Leadership: Creating Value in Organizations (2007). His new book, Innovation You: 4 Steps to Becoming New and Improved (Random House), which will be published in August 2011, shows how the principles and methods of business innovation can be applied to our lives as individuals. His upcoming PBS Special by the same name will introduce these ideas to viewers across America in August of 2011.